Of the $11.8 billion in mobile search revenue Google booked in 2014, 75 percent— nearly $9 billion— came from iOS, according to a recent Goldman Sachs analysis cited by the New York Times. Half of that total is chalked up to a deal with Apple that makes Google the default search engine for mobile Safari. That arrangement is thought to cost Google between $1 billion and $2 billion each year, and many believe that it will end sooner than later. 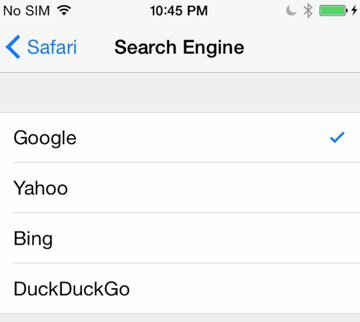 Apple is rumored to be considering a switch to Yahoo or Bing, and might also enter the market with its own solution. Apple is known to be working on a large-scale web search program, led by the team acquired with social analytics firm Topsy in 2013. These developments put Google in a precarious position when it comes to mobile search, and losing iOS is a potentially disastrous scenario. Google has already seen mobile search volume eclipse desktop search volume in 10 markets— including the U.S. and Japan— and many new Android-based manufacturers have eschewed Google's own services in favor of other local options. This is especially true in mainland China, where most Google offerings are blocked by government firewalls. Without Apple, Google risks being ironically cut out of the market by its own software.